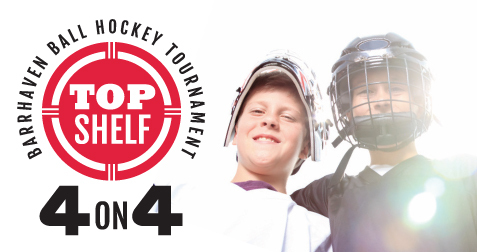 The Top Shelf 4-on-4 Barrhaven Ball Hockey Tournament is a unique youth ball hockey tournament celebrating hockey culture in a wholesome, festival atmosphere that will make kids feel like NHL pros and will be one of the most memorable local events of the year! Come out and join us in May. 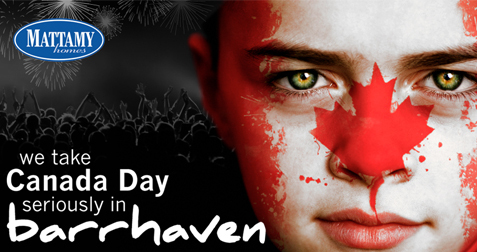 Visit the Canada Day festival website for all of the details! Check out Santa’s website: THE 2018 RESULTS ARE IN! For over 20 years now, the Barrhaven Santa Claus Parade has lit its way down Strandherd Drive in Barrhaven. As always, we work to make the Barrhaven Santa Claus Parade will bigger, bolder and brighter every year! With funding from local sponsors, the parade has continued to grow in popularity and size, adding new and better floats with each year. Today this volunteer-run parade sees entries including elaborate floats, marching bands, entertainers and costumed characters, all lit up to the delight of our 40,000 spectators. The afternoon of the parade, participants will form up on Beatrice Drive and move along to Strandherd Drive at 5:30 pm to entertain young and old alike! Local businesses will treat spectators with complimentary hot drinks along the parade route at designated areas. The parade ends with Santa himself, of course, and will finish at the Park’n’Ride where it turns north for dispersal. This is a well-loved community event that delights so many residents of our community and those from neighbouring areas. We are proud to present this wonder-filled event! 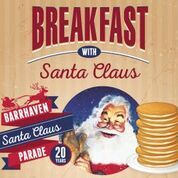 Come have breakfast with Santa! Kids can make crafts with our student elves, listen to favorite holiday songs and have some festive fun in the Wish Photobooth with family and friends. We will collect food and cash donations for the Barrhaven Food Cupboard at the front of the school all morning. Thank you to our generous sponsors; Sobeys Barrhaven, Starbucks Barrhaven, Salvation Army Barrhaven , Eyes of Barrhaven, Cobs Bread Barrhaven, Supperworks Nepean and Santa’s helpers, St. Mother Teresa High School Students! See you for breakfast on parade morning. 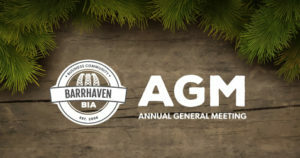 Join us for our 2019 AGM in the St. Mother Teresa High School auditorium. Wednesday, December 4th at 6 pm. The Works, Boston Pizza, Copper Branch, Quiznos Subs, Cobs Bread, The Heart & Crown, Haico’s Hot Sauce, Wish Photobooth, Pelee Island Winery, Anabia Cupcakery, YOW Popcorn Co., Arterra Wines, Lonestar Texas Grill, Triple Bogey Brewing Co., Sandbanks Winery and more! 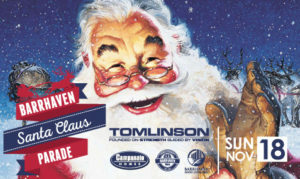 All proceeds from ticket sales for liquor samples will be donated to the Barrhaven Salvation Army. Their volunteers will also be on hand to accept donations to their holiday kettle program. Thank you in advance for your generosity!